Gullible school kids are just the latest nincompoops to be brainwashed and sent into battle to convince us that wind and solar are our future. Watching throngs of breathless prepubescents wagging school and wailing about the end of the world would have been mildly amusing, if not so sad. 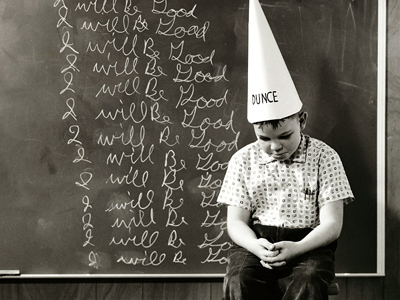 Evidencing the fact that education these days is all about creating tomorrow’s social justice warrior and learning the finer arts of vacuous virtue signalling, kids waving placards exhorting us to save the ‘enviroment’ and to act on the great climate ‘emergancy’ might be better off tackling a dictionary, than storming the barricades. What the poor little pets don’t realise, is that they’re being used as only the latest brand of useful idiots enlisted by RE zealots and the rent seekers (obscenely) profiting from the greatest economic and environmental fraud, of all time. Behind every placard waving cohort stood an unreconstructed neo-Marxist teacher, and behind the sandal and caftan wearing chalkies, a band of wind and solar investors (like Mike Cannon-Brookes and the former PM’s son, Alex Turnbull) orchestrated and/or funded the whole circus. Cynical and mercenary, this is a group of people who need social licence to maintain a system of wind and solar subsidies, mandates, fines and targets, that’s little more than state-sponsored theft. With more than $70,000,000,000 in subsidies, grants and soft loans up for grabs, it’s little wonder that RE rent seekers have no shame in deploying a band of people who’ve only just mastered their Lego and PlayStations. Bella d’Abrera is the director of the Foundations of Western Civilisation program at the Institute of Public Affairs. Bella takes a look at the sad and miserable reckoning that’s in store for today’s little renewable energy ‘champions’. There’s little doubt that the prospect of spending a day out and about with friends shouting about Adani, fossil fuels and the Morrison government is infinitely more thrilling than enduring a morning of double maths followed by an afternoon of double science. After all, it’s much more exciting to be an eco-warrior than it is to sit through hours of algebra, or come to terms with acid-base ­equilibrium systems and their applications. Alas, there is much more to today’s School Strike for Climate than this. The reason why Australian children are out in force is ­because they have been terrified into it. These young Australians, convinced that many of them will barely make it into adulthood before the advent of a climate Armageddon in 2031, might as well be wearing “The End of the World is Nigh” sandwich boards traditionally favoured by evangelical doomsayers. 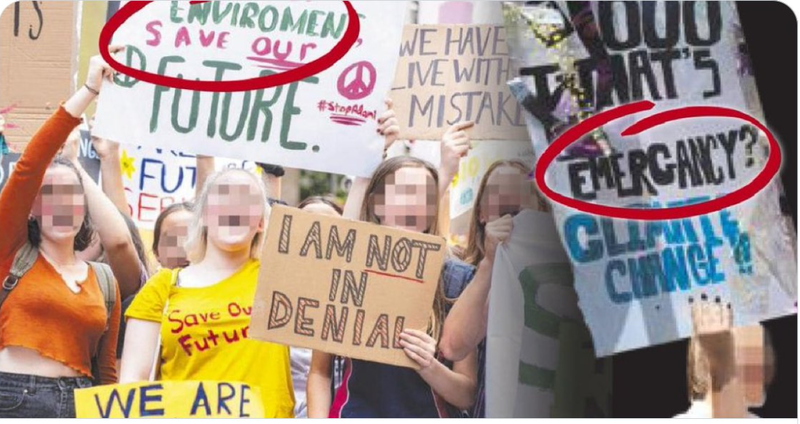 Australian children are taking to the streets en masse to demand climate change action quite simply because they believe what they are being told. From their first day at school until their last, they are taught an environmental determinist view of human civilisation. The message repeated ad nauseam throughout much of the national curriculum’s content by way of “sustainability”, one of the three ubiquitous cross-curriculum priorities, is that “humans and their natural environment are closely interrelated”. The implication of this particular message, drummed into children from the word go, is that environmental factors such as climate presuppose the success or failure of civilisations. They are essentially being taught that it is our civilisation, Western civilisation, that is failing both the Earth and humankind. In this simplistic, neopaganistic narrative, capitalism and coal are evil and should be rejected because they are driving us towards a catastrophic, end-of-days scenario of unimaginable proportions that can be averted only by embracing socialism and renewables. However, few students are taught about the costs that come with climate action. More worrying, it seems this is being deliberately omitted from their education. According to analysis by Copenhagen Consensus Centre director Bjorn Lomborg, solar and wind provide less than 1 per cent of the world’s energy, and ­already ­require subsidies of $129 billion ­annually. Institute of Public Affairs research recently found that abiding by the Paris Agreement will cost Australia $52bn. It’s unlikely students will be told about Lomborg’s conclusion that the agreement could not only cost up to $2 trillion but that it will also have no discernible impact on the environment. And although media reports describe the youth climate protests as “global”, they have taken place almost exclusively in wealthy countries that have overcome more pressing issues of alleviating energy poverty. A truly global poll shows that climate change is a low priority, and well behind health, education and jobs. Indeed, the numbers of children participating in today’s rally is testament to the initiative, determination and passion of the adults who are encouraging them to strike. It’s hardly a secret that many who choose to go into teaching, as well as academics who inhabit university humanities departments, see their roles not as instructors but rather as agents of change who use schools and universities as vehicles from which to push their political agenda. More than 800 teachers and academics have signed a letter of solidarity as part of the School Strike for Climate movement, which, although purportedly being run by schoolchildren, has received extensive support from the Australian Youth Climate Coalition. They have put their names to a statement that “applaud(s) (the children) for their concern for our planet and their conviction to stand up for change to demand urgent action on climate change”. Each and every one of these schoolteachers directly contravenes the Department of Education’s policy on political activities, which states in no uncertain terms that teachers “must not solicit students to become agents of any organisation or individual by distributing notices, pamphlets or literature of any description that contains material of a controversial nature, whether originating from a union, professional association, parent-teacher group or any other source”. The law, however, appears to be of little concern to the teachers who are encouraging the strike ­because they are actors in — and proponents of — a progressive education system that promotes politicking over learning, and feelings over facts. The great tragedy of all this is that children are being pre­maturely propelled into an adult world of activism, rights and social justice, but without the facts, the knowledge or the maturity to cope with it. On the one hand they are being told that as future leaders only they can save the world. But on the other hand, the very people who should be equipping the children in their care with the fundamental skills and knowledge which will make them effective leaders, are failing in their duty to do so. All is well folks. I think it more likely that the teachers were responsible for penning the signs. Our edumakashon system on display! The little munchkins are being used as pawns. What’s wrong with our education system and our society today? It’s been taken over by the media, assisted by those who want to push their own barrow full of financial gains and whatever ideology they want to promote today. No longer is it promoted for students and others to consider all aspects of an argument before making judgement. NO LONGER are Educators expected to NOT influence students via their personal beliefs, and way of life. Today if a student dares to be different by thinking and acting for themselves they’re frowned on and are not thought of as part of the ‘in crowd’, they’re not a member of those who ‘achieve’ a place at the front of the maddening crowd of activists. All the hype over the past few years about students being allowed to be themselves has done nothing but create a band of elephants hanging onto the elephant in fronts tail as they march along in unison heading for goodness knows what. All the hard work of those Researchers who have undertaken to investigate and clarify and explain fully the ‘climate change’ scenario and to ensure our energy supply into the future, to create a world where the poorer nations are brought up to the standard of the wealthier countries instead of the wealthier countries being dragged down to meet the level of the poorer ones, it’s all being hidden behind the shouting and manipulating of those who have money as their God. It’s frowned on to speak of health and environmental damage being done by methods promoted by these money hungry ingrates. People don’t matter and their qualifications are shot down and maligned if they dare to speak out against the moves and motivations of those who support the calls to destroy our health, environment, employment and lifestyle. You cannot speak out without being ‘ganged up’ on; you are not allowed to have an opinion opposite to that of those who are leading the cry of ‘climate change’. Where has our right to be heard gone, where has our right to be educated and different gone, why doesn’t the media, Politicians and educators stand up for our rights, our right to be listened to and our arguments to be considered alongside those of the ‘climate’ activists. Why isn’t it a right for our concerns to be dealt with fairly and acted on if our arguments are capable of providing everything everyone wants? Why are we ‘shot down’ even though what we’re saying is rational? Why are our children being indoctrinated rather than educated? Why are we as parents, aunts, uncles and grandparents not being listened to? Why do teachers have the right to pressure our children into supporting things they don’t understand? When is EDUCATION going to return to its beginnings by allowing and demanding children are provided with as many arguments from as many areas as possible for them to make choices and decisions for themselves? Why are people so worried about children being properly educated? Is it because then they will not fall for the shallow ideology of the apparent masses. These demonstrations are doing nothing positive except to highlight the disgraceful manner in which our children are being manipulated. Even adults at the demonstrations were ignorant of facts. Such as the women who said we have plenty of wind and sun so we don’t need coal. Where is this persons head – in the sand no doubt? Too many are unable to access their brains to be able to understand wind and sun can only do something when they are available and then it’s not very much. One question that wasn’t answered – that I could see – was how many of those ‘marching’ were from areas where turbines are located, did children drive 100’s kms to participate or did they hold their own ‘stop work’ happy hours? 1. One may conclude that the parents of these deluded school children are also complicit. 2. How many school children did not take part in the ‘day for the gullible’ circus? Dr James Hansen is right in his claim that wind and solar can never provide the reliable, affordable power necessary to support our prosperous modern lifestyles. He is also right that if electricity generation must be free of CO2 emissions then, apart from those jurisdictions blessed with vast hydro potential, nuclear is presently the only option. As STT pointed out in a recent article Bill Gates is another warming worrier that understands the impossibility of supplying our electricity needs with renewables. But Dr Hansen's pronouncements on catastrophic climate change are another matter, as attested by his many failed predictions. Claiming that the magic of "peer review" somehow validates Hansen’s alarmist claims are wrong, one only has to examine the conniving and trickery of the scientists caught out in the climategate emails to understand that in the world of government funded climate science much of what purports to be peer review is little more than a convenient, cosy club of "pal review". A few of Hansen's failed predictions are highlighted here by climatologist Dr. Pat Michaels and Meteorologist Dr. Ryan Maue (the link in the piece to satellite data concerning hurricane strength is broken, that data can be found here). Young people, and I mean lots of them, are being used as robots programed with myth that the “climate is changing and we have to stop it, or…” The “Chicken Little” ideas come from their “Chicken Little” parents who send them to “Chicken Little” schools that give them “Days Off” to spread their “Chicken Little” ideas. No, THE SKY ISN’T FALLING!. All you “Chicken Littles” can go home now and just try to THINK about what I have said. LIFE will be your final exam. No one denies the climate is changing, always has, always will. And most of what parades as science on man made climate change is politically motivated drivel. The science is settled, we are repeatedly told, that’s not how science works. Water vapour is a far more potent greenhouse gas than CO2, but no one appears concerned about that, or solar activity, or any of the myriad of other climate determinants because they have nothing to do with human activity. Propaganda in the educational system is an absolute NO NO. Academics and teachers are currently failing in their duty to society. Ah, but science isn’t propaganda, is it? It teaches kids how to ask questions, shows them how to test various gases heat-trapping properties, shows them how Joseph Fourier originally measured the heat trapping properties of CO2 and other gases, and tells them where the science is at today. Anyone calling all that ‘propaganda’ sounds subject to some pretty serious (and delusional) propaganda of their own. How about setting out the % of naturally occuring CO2 versus the trivial proportion generated by human activity before you start telling our followers what amounts to propaganda. Ah science I remember, the scientific method etc. etc. now replaced by computer modelling and endless grants for our once great thinkers!! Ah! but that is NOT what they are teaching. Otherwise how did these kids get the impression the world is heading for disaster in 12 years time? Their heads are full of propaganda. if they do ask questions all they get is regurgitated propaganda. They are in for a big shock. It is all a gross abuse of the educational system. This is all lies and brainwashing. There is no climate emergency, Lewis and Curry have recently proved this point. Renewables cannot power a grid as recent studies have shown. Australia’s emissions are too small to make a difference. Australia’s actions won’t encourage China, India or any other country to reduce emissions. 100% renewables will result in electricity too expensive for consumers to purchase and create mass poverty as jobs collapse. Sea levels rise has been the same for over 100 years according to global tide gauges. The number of cyclones are decreasing. World poverty is falling and at recode lows. Global food production is at a record high and the numbe rof climate related deaths is at a record low. Lego is feeding this brainwashing process. Where do you start with the psychology behind this new model kit?